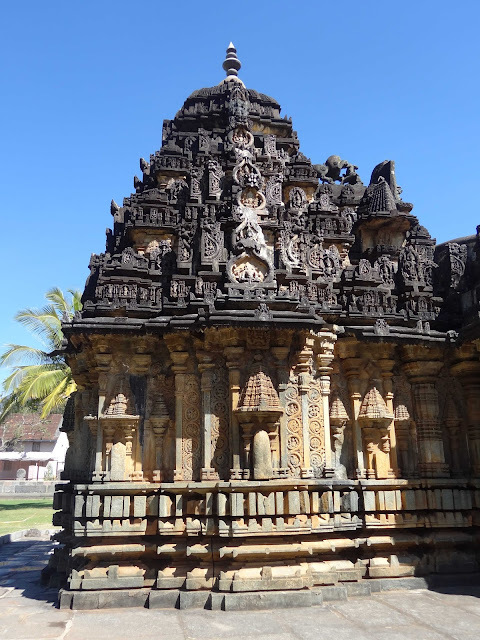 The Amruteshvara temple is located in Amruthapura, a town which is 67 km north of Chikmagalur town in Chikkamagaluru district, Karnataka state, India. Located 110 km from Hassan and 35 km from Shimoga on NH 206, Amruthapura is known for the splendid Amruteshvara temple (also spelt Amruthesvara or Amrtesvara) . The temple was built in 1196 by Amrutheshwara Dandanayaka (commander) under Hoysala King Veera Ballala II. Located in the close vicinity of the Bhadra River reservoir, a short distance from Tarikere town, this is an idyllic spot. 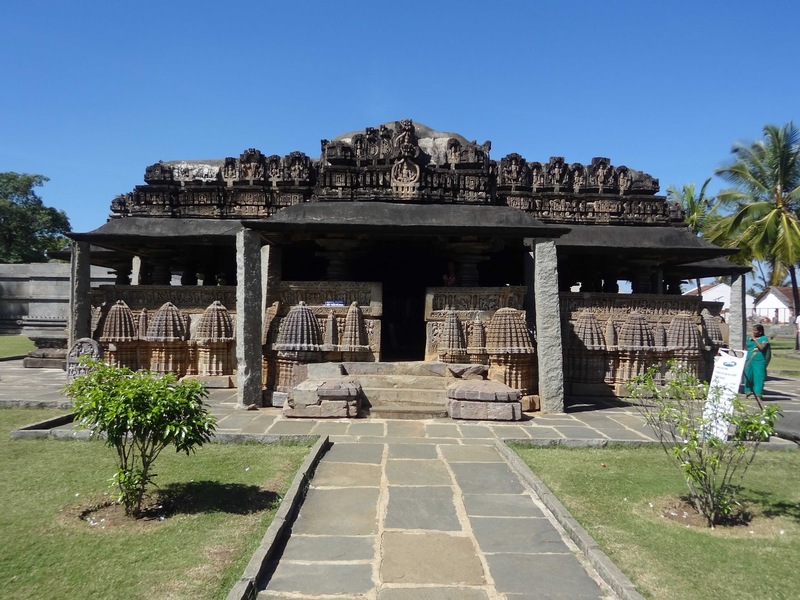 The rise of the Hoysalas to power in the 11th - 12th centuries created many important towns and cities (nagara) along the malnad regions of present day Karnataka. The Hoysalas built many ornate temples in this region and it is not uncommon to find them spaced very short distances from each other. 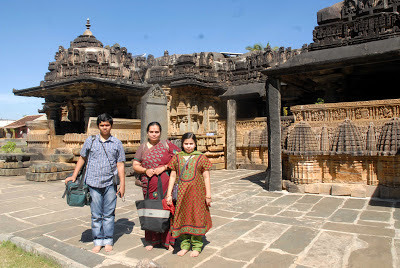 The temple is a fine example of Hoysala workmanship built with a wide open mantapa (hall). Surrounded by Palm and Coconut farms, the temple still has its original outer wall with interesting, equally spaced circular carvings. The temple has one vimana (shrine), hence it is a ekakuta design and a closed mantapa (hall) connects the shrine to the large open mantapa. 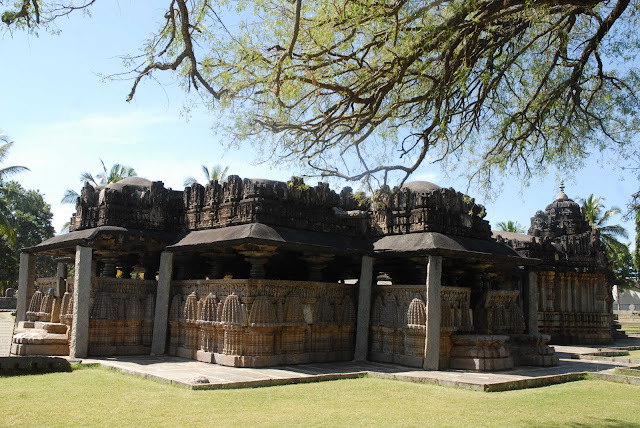 A mid sized Hoysala temple, it compares closely with the Veeranarayana temple at Belavadi in mandapa structure and size. 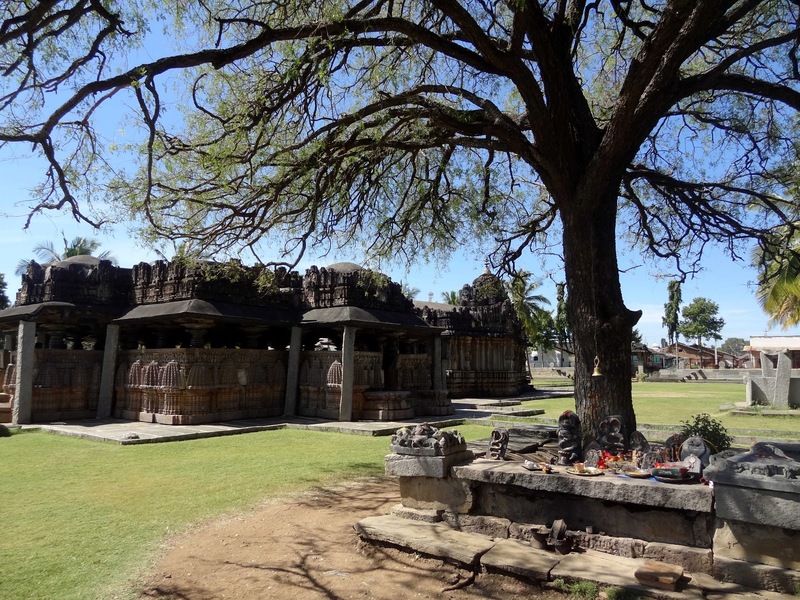 The open mandapa has 29 bays and the closed mantapa has 9 bays with a side porch that leads to another separate shrine on the south side. The shrine is square in shape and still has the original superstructure (tower) richly adorned with sculptures of Kirthimukhas (demon faces), miniature towers etc. Below the superstructure, the usual panel of Hindu deities is not present. 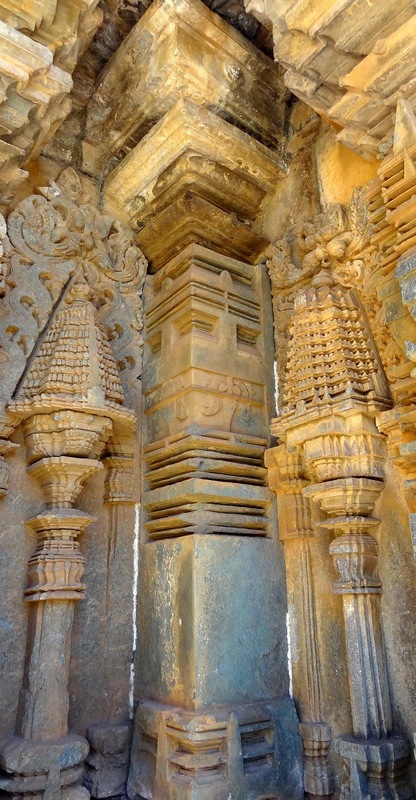 The base of the wall has five mouldings which is an older Hoysala style. The Sukanasi has the original Hoysala emblem of Sala fighting the tiger. 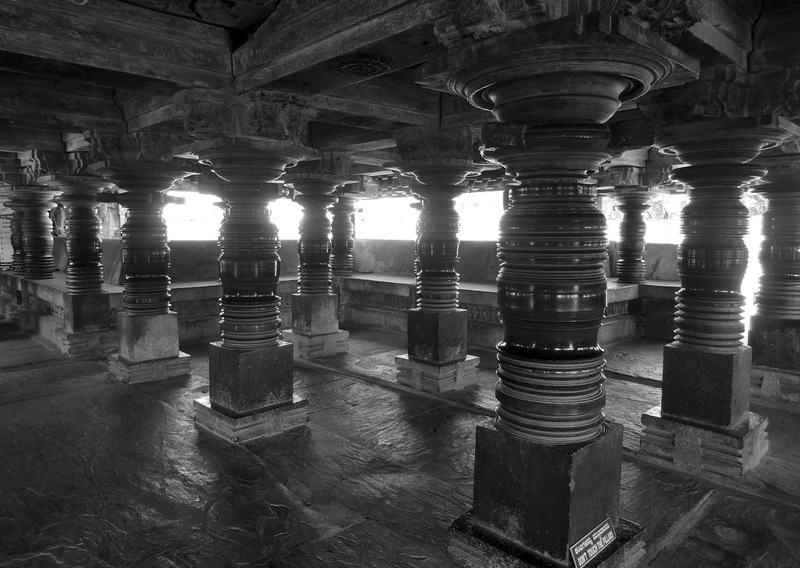 The speciality of the temple are the rows of shining lathe turned pillars that support the ceiling of the mantapa. The mantapa has many deeply domed inner ceiling structures adorned with floral designs. The outer parapet wall of the open mantapa has a total of 140 panels of sculptures depicting the Hindu epics. 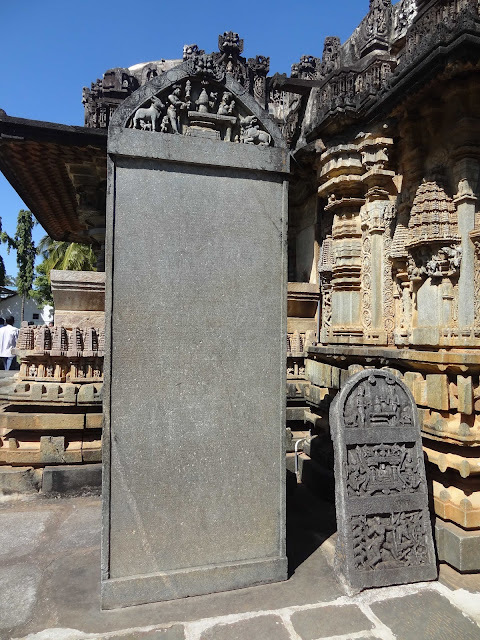 Unlike in many Hoysala temples where the panels are small and carvings miniature, these panels are large. The Ramayana is sculpted on the south side wall on 70 panels with the story proceeding anti clockwise which is unusual. On the north side wall, all depictions are clockwise, the normal Hoysala style. 25 panels depict the life of Lord Krishna and the remaining 45 panels depict the epic Mahabharata. Ruvari Mallitamma, the famous Hoysala sculptor and architect started his career here working on the domed ceilings in the main mantapa. The large stone inscription near the porch is an excellent example of medieval Kannada poetry composed by the famous poet Janna. If the Children are poor in studies or facing any problem in gaining better education. Its better to visit this temple . Sharada matha will bless them and sure they will achieve their bright feature. Those who got success from Sharada Matha they will give MADALAKKI AND SAREE. 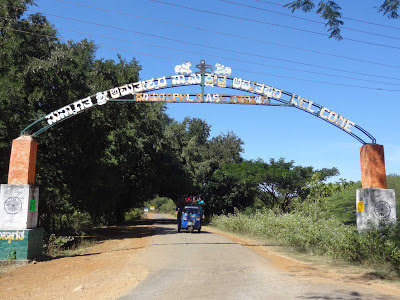 * Koodli (55 km) : The place where the Rivers Tunga & Bhadra converge. Very good information with accurate details for travellers.